A mysterious Pagani Huayra prototype has been spied testing around Italy in recent months. Its identity has remained unknown but we now know what Pagani is up to. 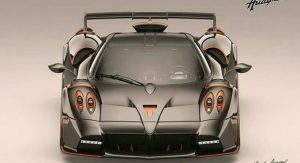 Images obtained by GTspirit reveal that Pagani is working on a new model dubbed the ‘Dragon’. 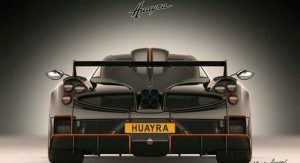 It is reported that the first Huayra Dragon has been commissioned by tuning company TopCar Design and that another 4 examples will be built. 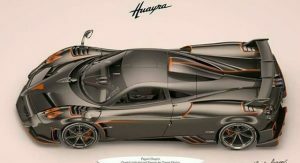 It is believed that Pagani will start building the Dragon once production of the Huayra Roadster is finished. 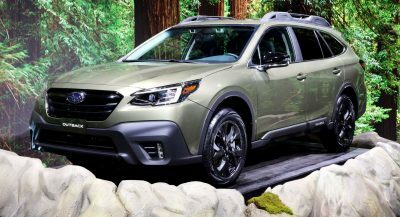 The vehicle spied is likely to be a prototype and not one of the five customer cars. 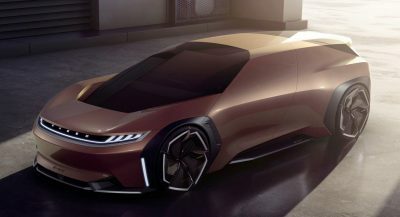 Design images of the car ordered by TopCar Design show that it is adorned with all the same aerodynamic add-ons as the Huayra prototype spied in recent months. Consequently, there’s a bespoke carbon fiber rear wing, an aggressive roof scoop feeding the twin-turbo 6.0-liter AMG V12 engine, and a distinctive rear diffuser. In addition, the Huayra Dragon pictured includes louvers over the front wheel arches, special wheels, and unique side skirts. The Huayra Dragon from TopCar also includes a number of bright orange accents. 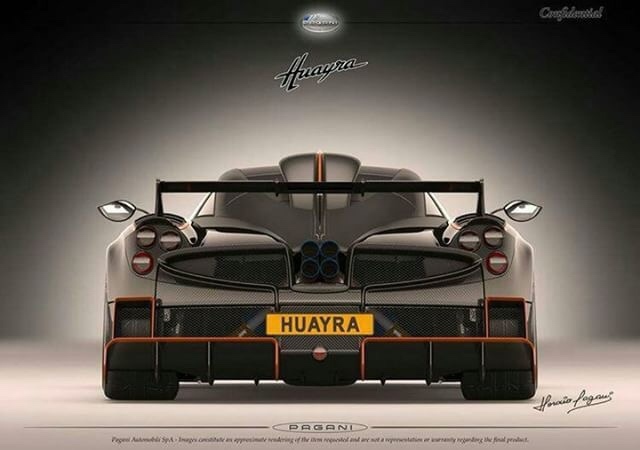 It remains to be seen if all Huayra Dragon models will look like this or if customers will have the option to customize the vehicle’s exterior and interior designs. 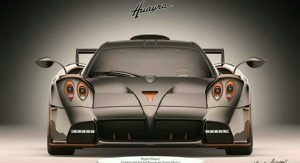 In Huayra BC guise, the V12 of the Italian supercar delivers 745 hp and 811 lb-ft (1100 Nm) of torque. In all likelihood, Pagani will sprinkle some magic over the Dragon’s powertrain to make it a little more powerful. 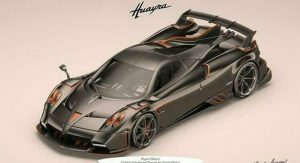 Pagani is already planning a successor to the Huayra and with Roadster, BC Roadster, and now Dragon models to build, there’s a chance this could be the final Huayra variant. 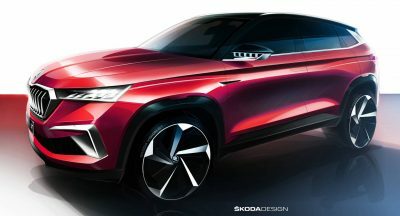 and i thought Porsche designers were the lazy ones. ran out of styling ideas there pagani? Horacio Pagani makes super cars. What do you do? 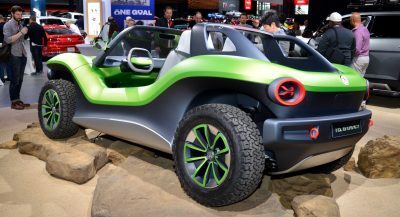 But it’s not a Zonda. Never thought Huayra can become as tacky as Zonda 760. I really think they should upgrade that old design. the start-off designs of mr. Pagani cars are simply straightforward beautiful. but his facelifts, re-modelling and “specials” make me shiver. they are so much over the top…. it is almost an art in itself. 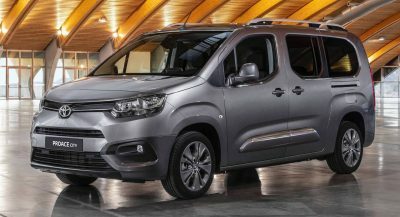 When they’ll start to do designs that are as excellent as the performance, ill be really impressed. I get it, its FUNCTIONAL and amazing in its quality, but its not beautiful.